The internet started off on a fast track and is growing like crazy expanding more than we can even imagine. With millions of people diving into the net and surfing things from the web, it has greatly increase the usage of the internet. Another important and fast growing aspect of technology is our mobile internet. The growth of mobile Internet usage is as we speak out pacing that of general Internet usage growth according to research. This is because recent events has shown that it is hard to find someone who doesn’t own a mobile device, or more, connected to the Internet which makes the mobile internet rapid in growth. One great ability of the mobile device is its usage on the go which makes it very flexible. This rapid growth in mobile internet usage and other smart devices has left lots of people thinking of how to build a site suitable for all users, devices and gadgets. One good response to this question has become responsive and dynamic web design. Responsive designs gives you the perfect and ideal way of making your site user friendly and also interactive with just about any device. It is the practice of building a website suitable to work on every device, every screen size and browsers, no matter how large or small, mobile or desktop. It is focused on providing an intuitive and gratifying experience for everyone. 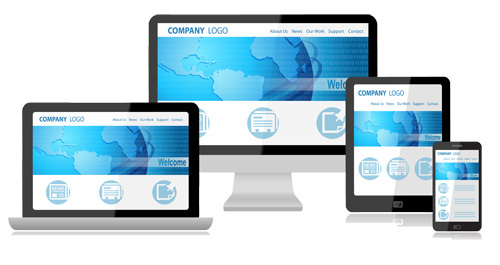 With responsive designs, you are sure of a better website performance and more also it gives you great assurance and peace of mind that your site is been viewed on every platform and devices so you have nothing to lose but everything to gain. At Website Builder Australia you get all these qualities and lot more.